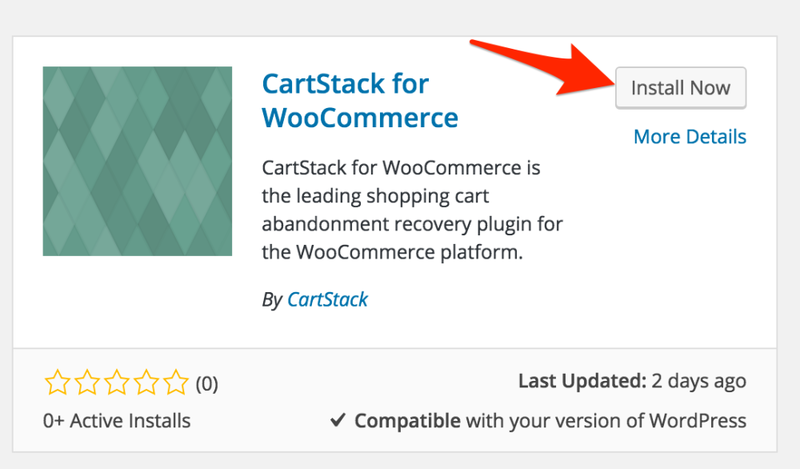 We have a WooCommerce plugin that makes it simple to integrate CartStack with your site. Click Plugins in the left menu. Type cartstack in the search bar and hit enter. 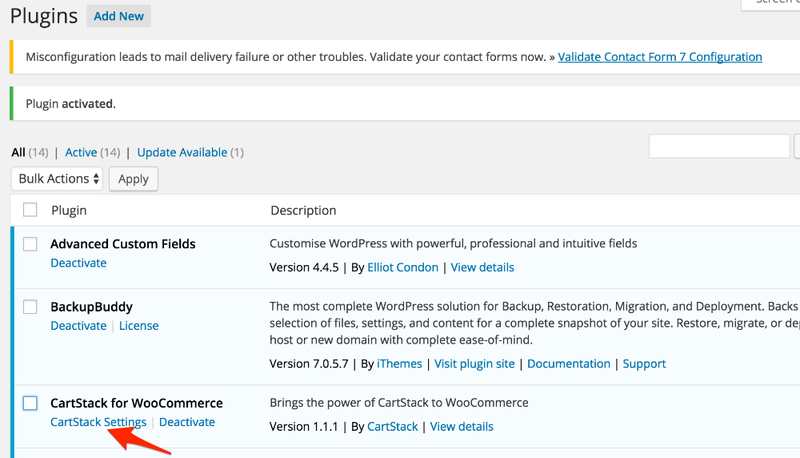 View CartStack in the list of plugins and click CartStack Settings. 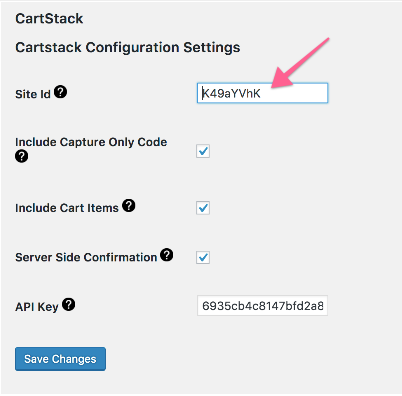 Copy the data- siteid value (see below screenshot) from the code page of your CartStack account. 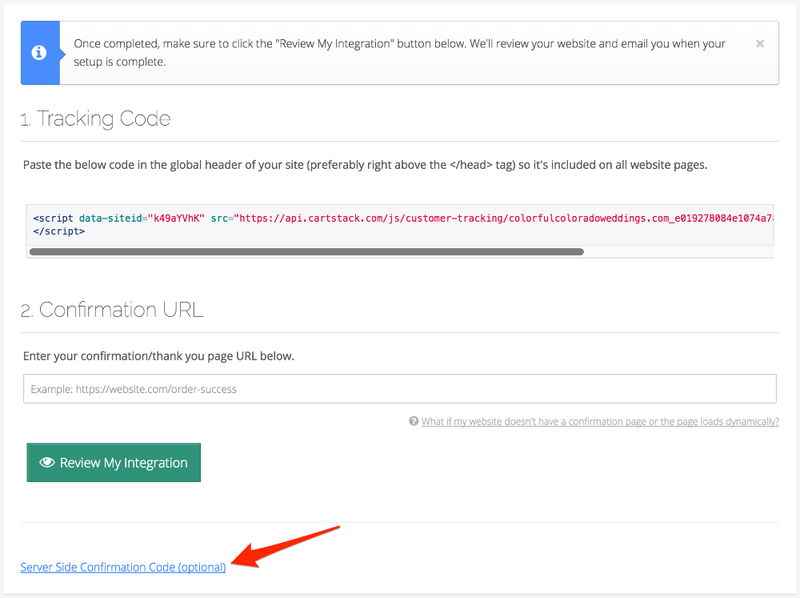 Then paste this value into the Site ID field on your plugin settings page. Make sure all 3 boxes are checked. 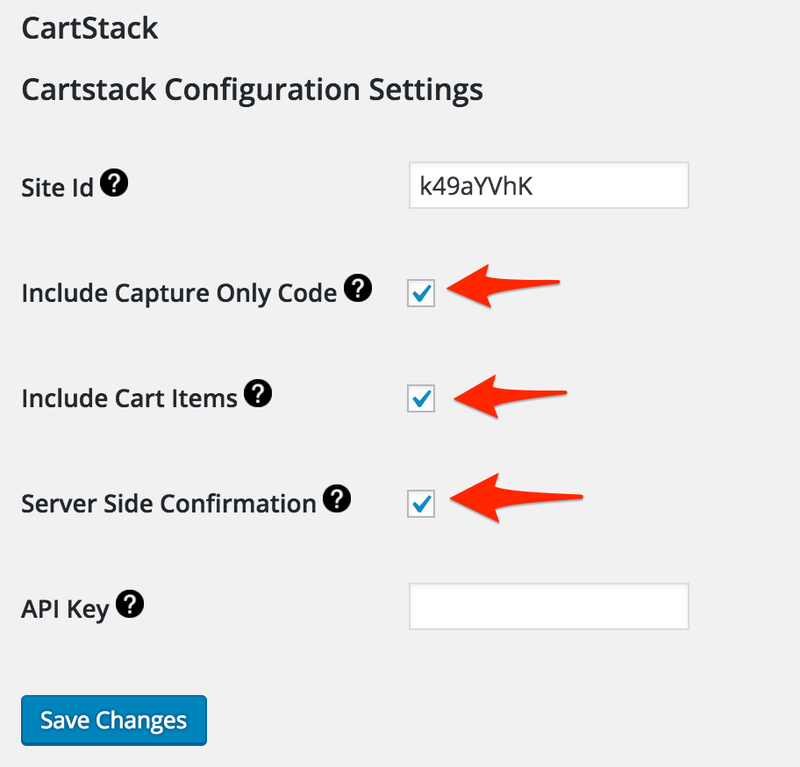 On the Code page of your CartStack account, click "Server Side Confirmation Code (optional)". 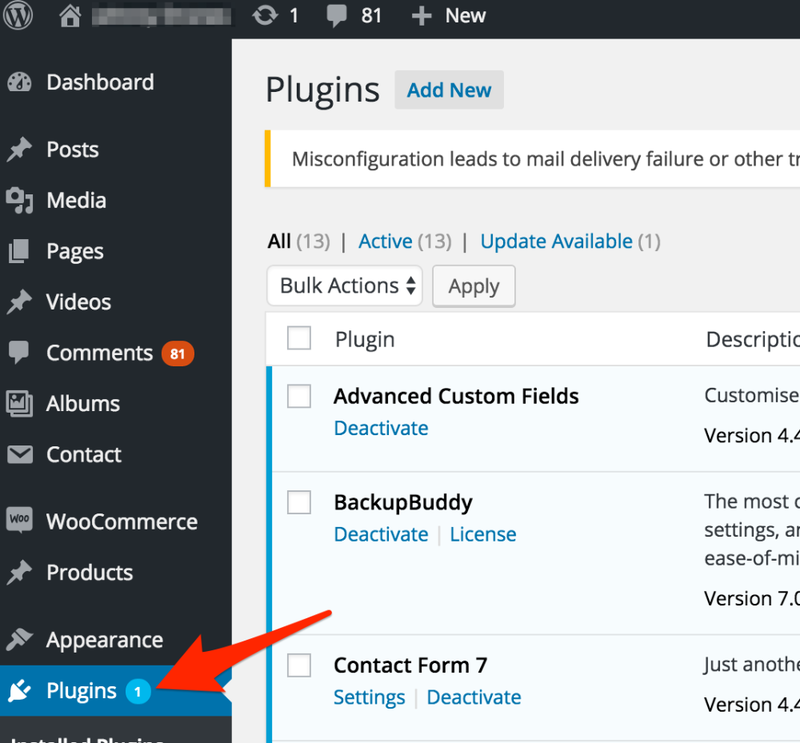 Copy key and paste it into the API Key box in the plugin settings.